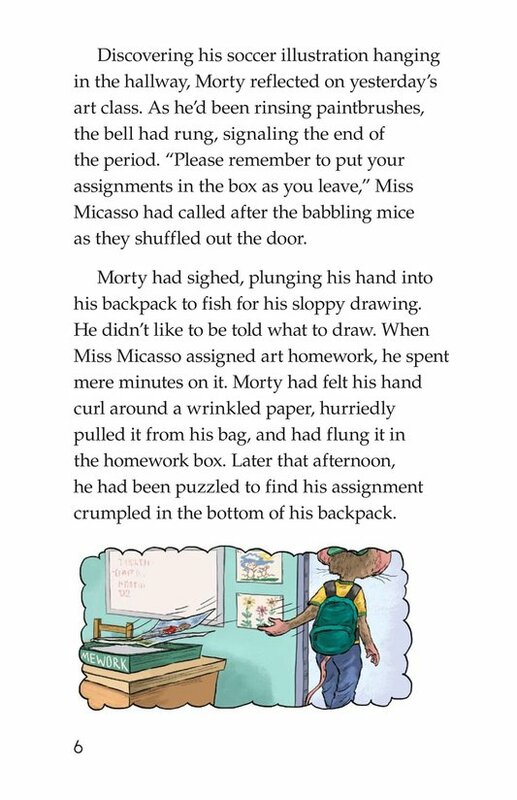 Fantasy (fiction) 1,166 words, Level S (Grade 3) Fiction Series. 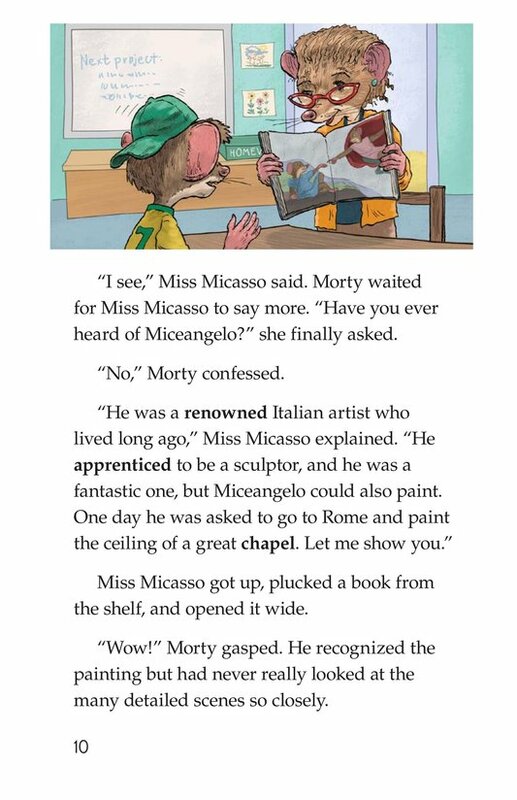 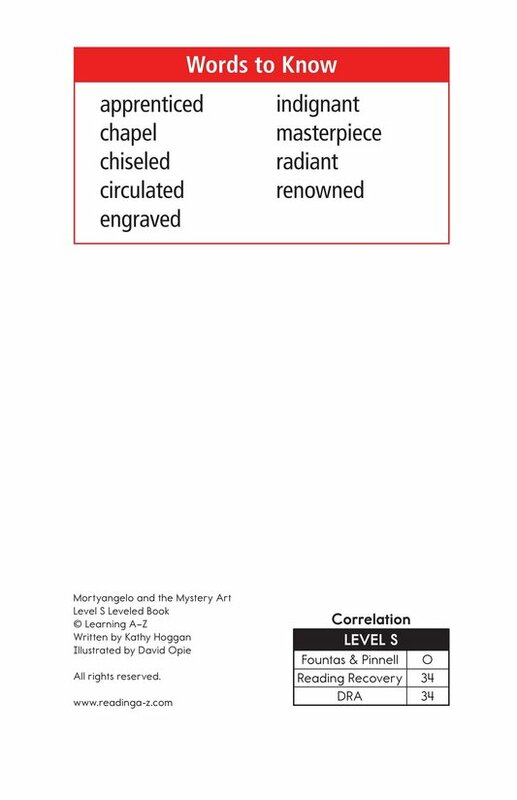 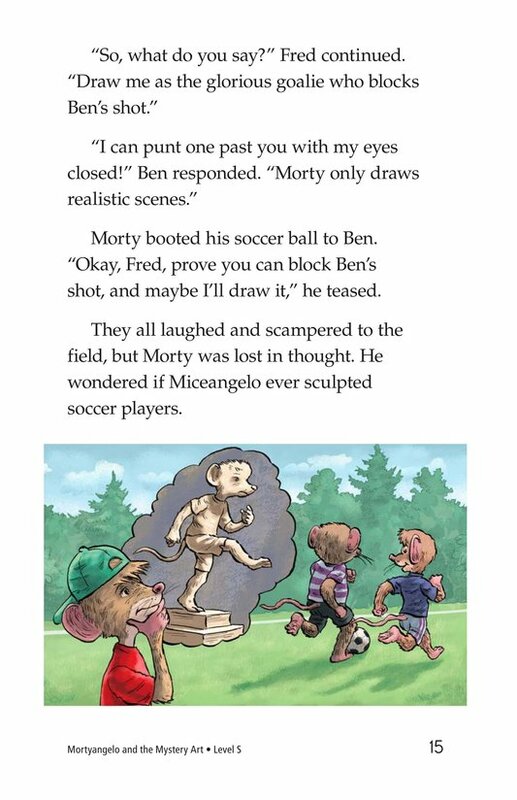 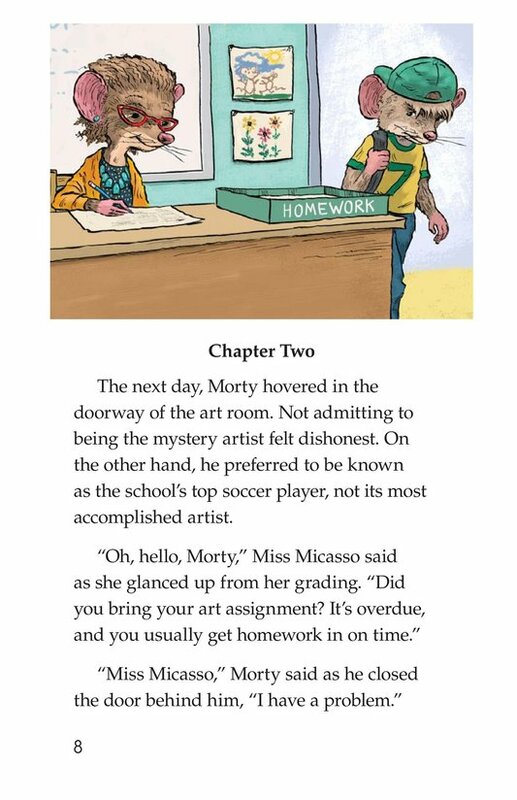 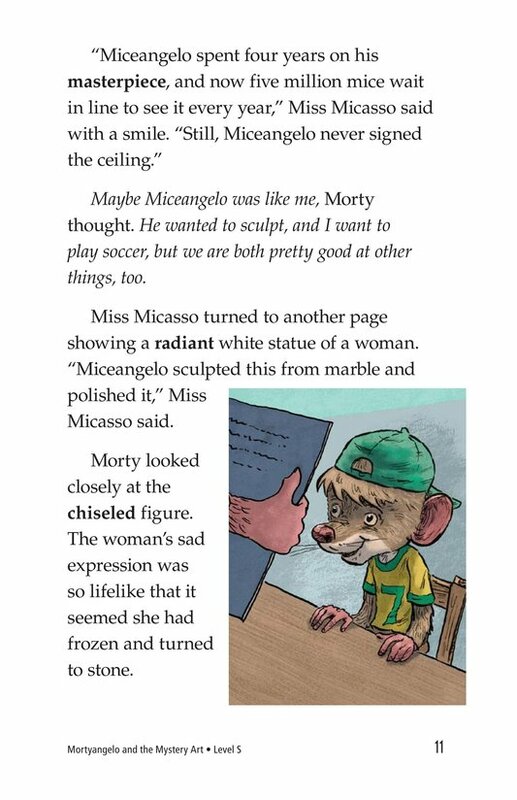 In Mortyangelo and the Mystery Art, an unsigned piece of artwork hangs in the hallway of Morty's school, and no one will claim it. 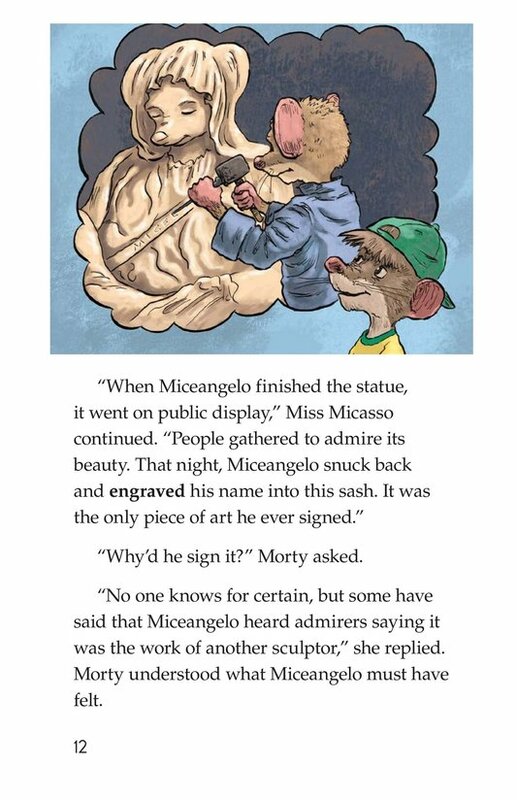 As students gather around to admire the masterpiece, Morty secretly worries about what his classmates will think of him if he claims his art and signs it. 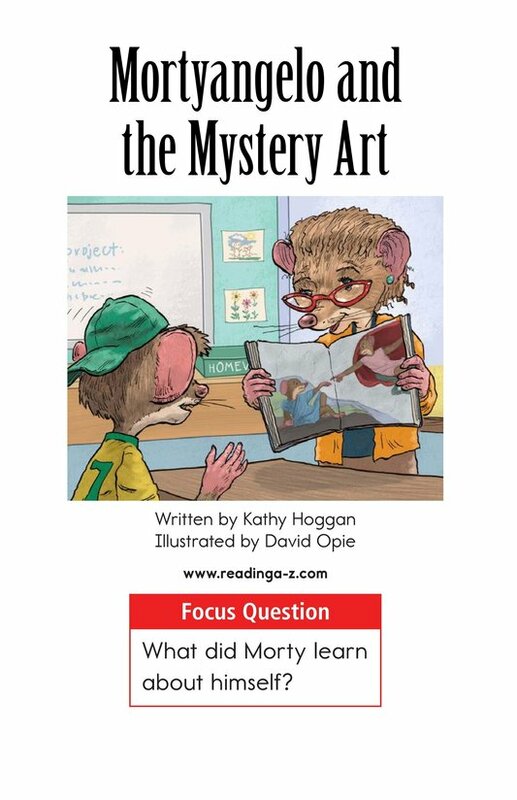 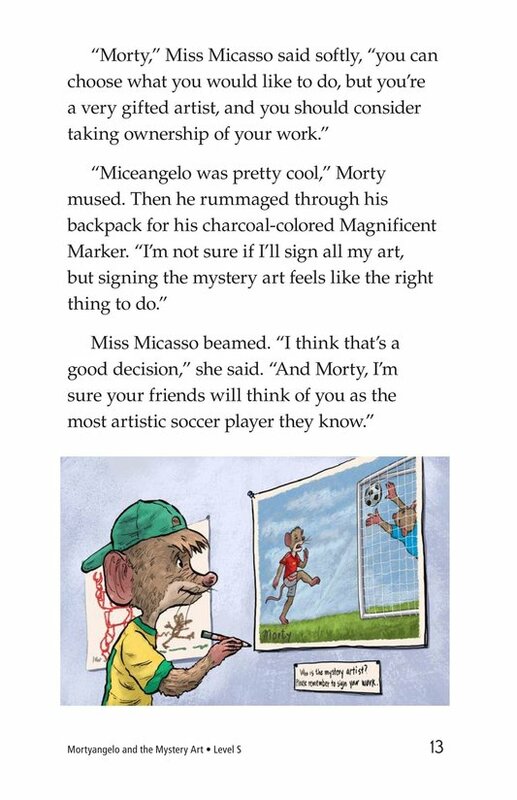 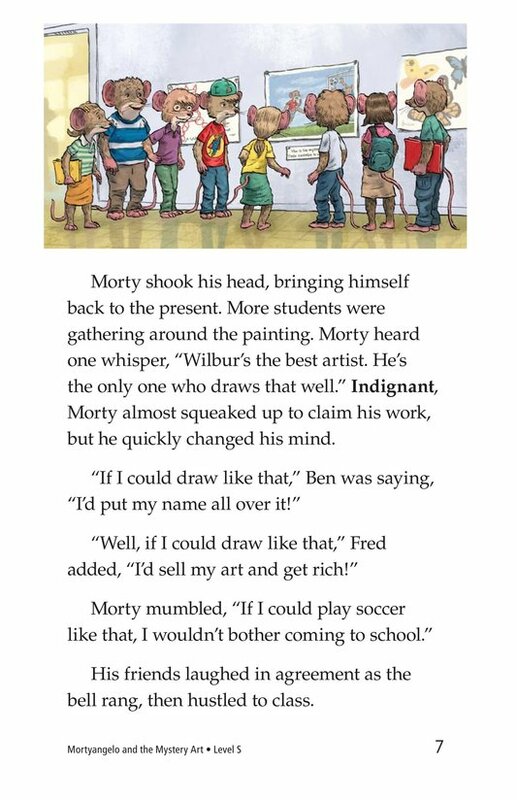 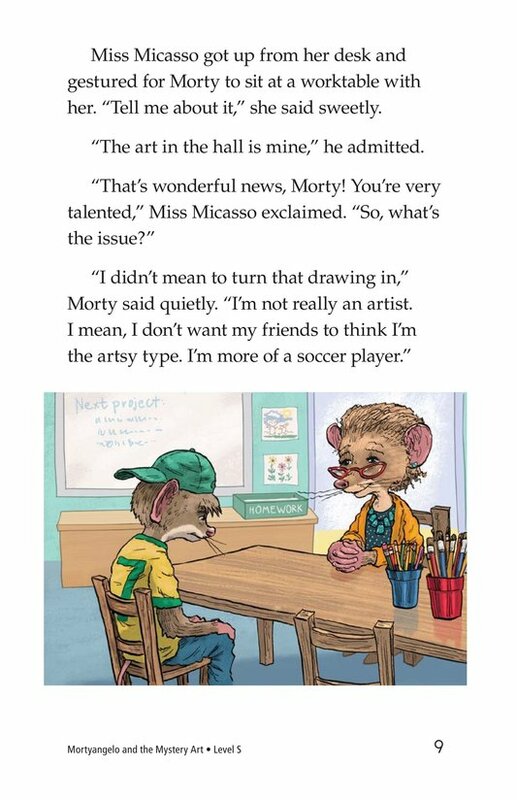 With a little help from his art teacher, Morty finally makes a decision about his mystery art. 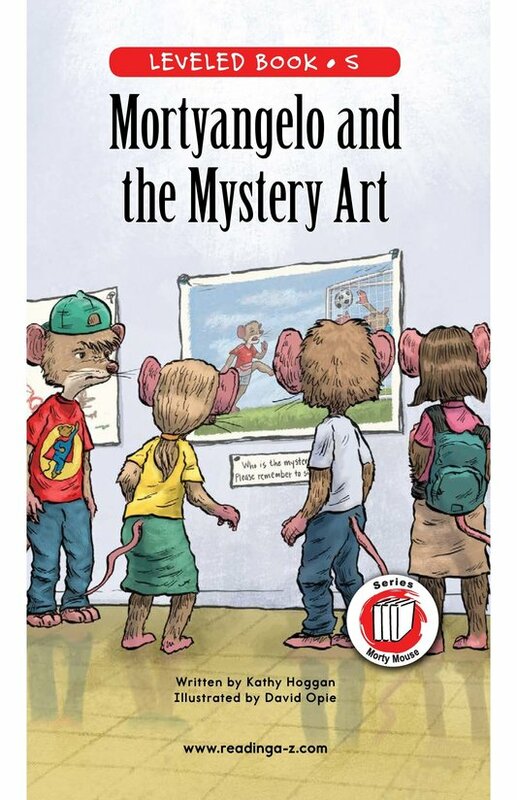 An engaging storyline and colorful illustrations will keep students engaged in this relatable topic. 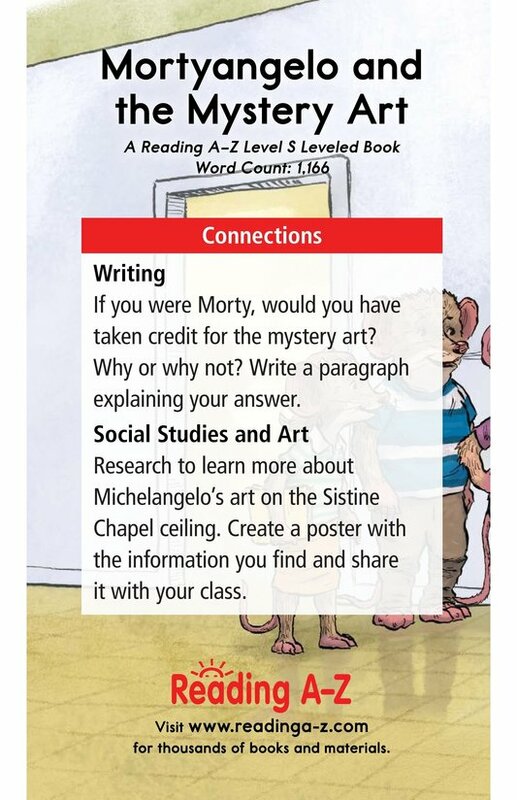 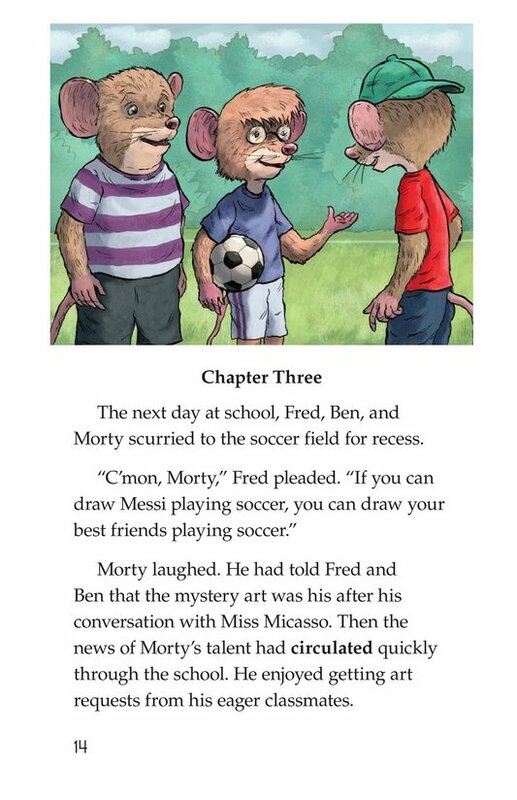 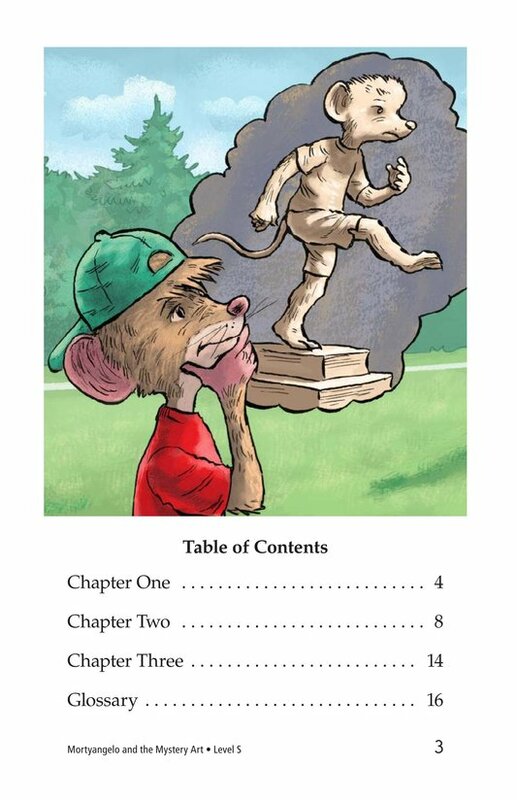 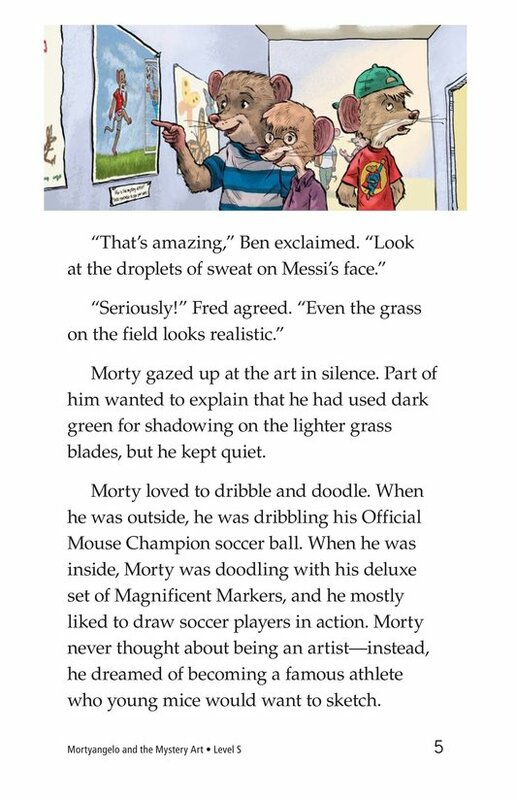 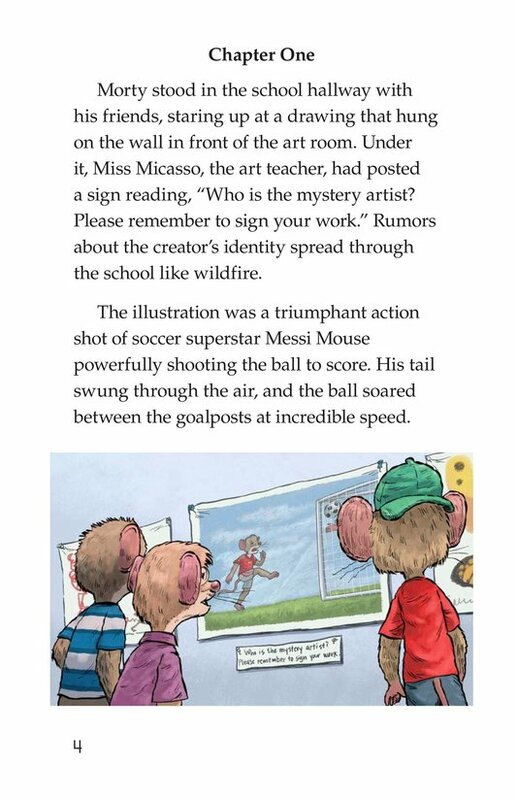 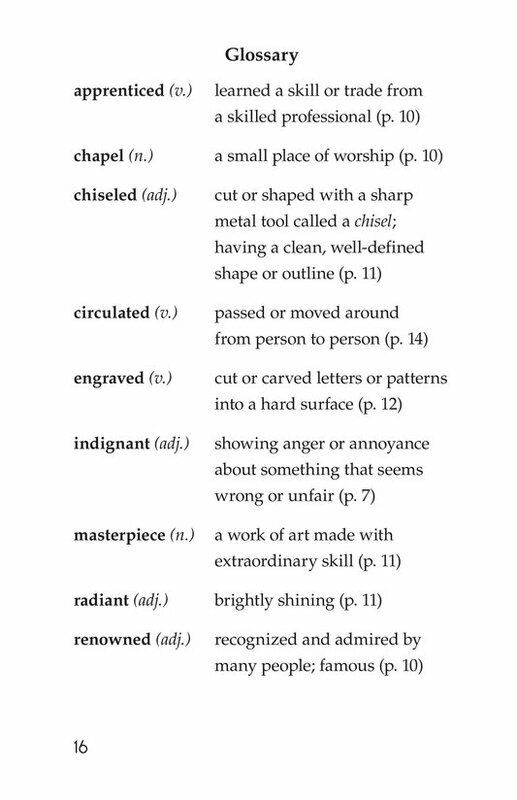 The book can also be used to teach students how to analyze characters as well as identify and use quotation marks.